The Southern side of the Albert Memorial in Kensington Gardens, London. 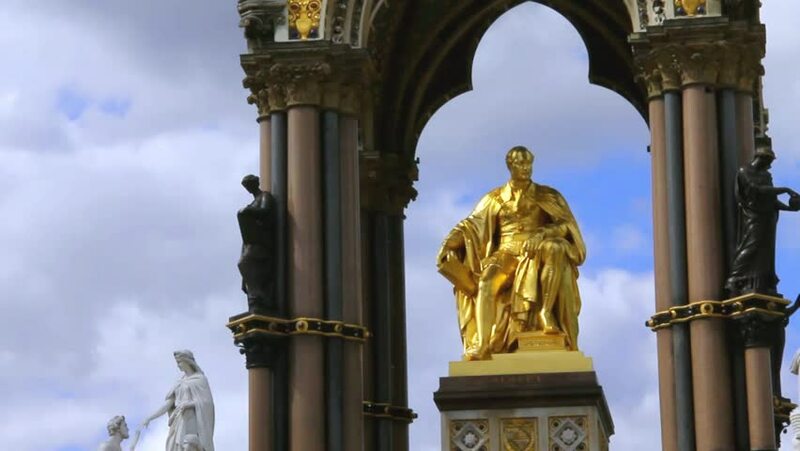 hd00:14London, England - October, 2012: A shot of the golden statue of Prince Albert at the Albert Memorial in the Kensington Gardens in London, England. 4k00:12Slow approach to marble statue of the great Greek scholar of antiquity of Plato. 4k00:20Queen Victoria memorial to her late husband Albert. London. June 2014.